I just talked with Margaret Moseley. She's waiting to be put to sleep to have a procedure done to repair some crushed discs in her lower back (this might not be the right term, but there are some crushed bones low in her back). Suddenly, on Christmas Eve morning, Margaret, who is 96, couldn't get up out of her chair. "I was making a pot of chili, and I went to get up to check on it, and I couldn't move. The pain was excruciating." Yesterday, I spent the afternoon with Margaret in her hospital room. We started reminiscing and got so tickled at some of the things that have happened over the years. Two young nurses came in, and Margaret announced that they were in the presence of two famous people. They looked at us like we were crazy, which sent us into paroxysms of laughter. Margaret tried to explain about her garden and how I wrote about it, but all we got were blank, sympathetic looks. For two decades, I wrote about Margaret in the Atlanta Journal and Constitution and for other magazines. A Gardener's Diary on HGTV featured her in two episodes. Southern Living used her garden for a book cover and for two magazine covers. I took hundreds of photographs of her garden over the years. Last August, I told her that I was going to compile a book about her garden. As usual, I underestimated the amount of work. I thought I could do it in a couple of months. But, so much had been written about Margaret in other publications and by other journalists, that it took hours and hours just to go through the stacks of books, magazines and newspaper articles featuring her garden. On top of that, I had stories and anecdotes I'd collected, along with Margaret's own written descriptions of her garden to edit and piece together. Then, there were slides to be converted into digital. I would take my computer out to Margaret's, and we would go through the photographs, trying to select the most important ones. After each session, she would declare, "I can't believe I planted all that." I couldn't either. So, my resolution is to have that book published by the time Margaret's 97th birthday rolls around on May 28th. I visited a local printer to make sure my pictures would work, since I only have a point and shoot camera and am not a photographer. Most of the digital pictures passed the test. Some of the converted slides will even work. The above photograph is a not sharp enough for printing, though. It's too bad, because it shows one of Margaret's borders in early summer. But, you get the idea. Her garden changed over the years - big pine trees fell, plants disappeared and were replaced by new varieties, rogue plants took over beds. Still, the magic remains. 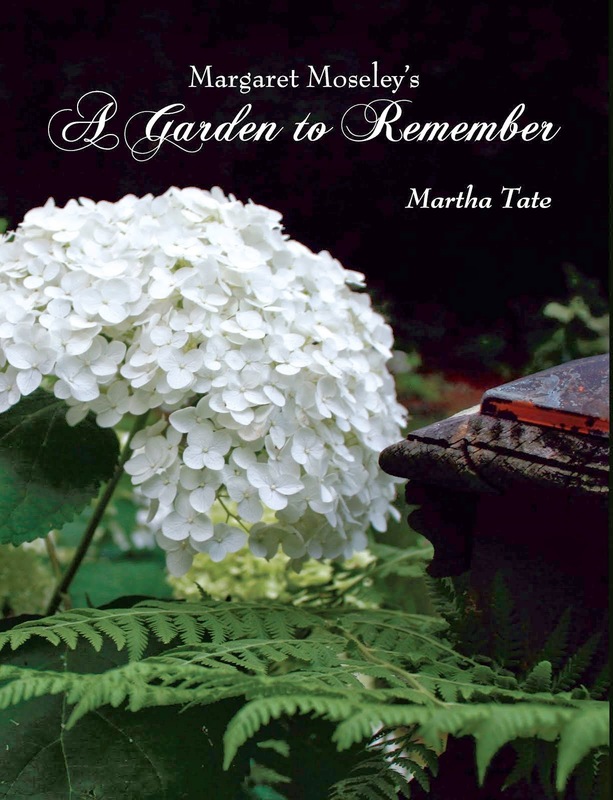 Her garden has influenced a generation who visited there, and, if I can get my act together, this book may even inspire people like those young nurses in the future. I hope that all goes well with her surgery. She is a remarkable lady! 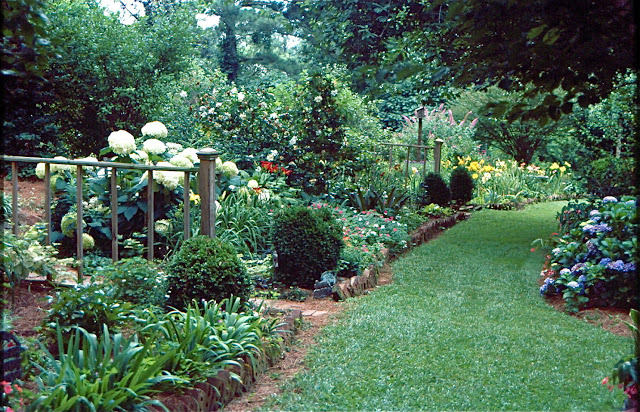 I look forward to your posts that show her garden and would love to get your book when it is published.